School’s out, and your kids surely want a getaway. But are you tired of all the clichéd holiday destinations, doing nothing but shopping and eating? While travelling, the right kind of exposure to different cultures can provide unforgettable experiences for you and your children. Here are four unique travel experiences near Singapore that you’ll enjoy bringing your family to, for a truly enriching holiday. 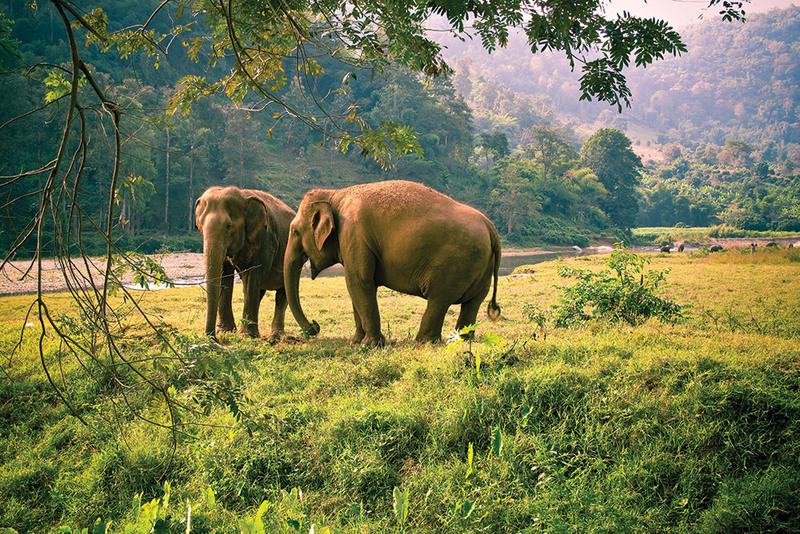 If you want to escape the hustle and bustle of Bangkok, try Chiang Mai for a change. Nestled in the northern area of Thailand, it can get quite cooling during December or January, and it is home to some of the best nature spots in Thailand. The Elephant Nature Park is a safe sanctuary for rescued elephants, which were previously held and abused in captivity. If you are looking to teach your child about ethical tourism and animal welfare, look no further. 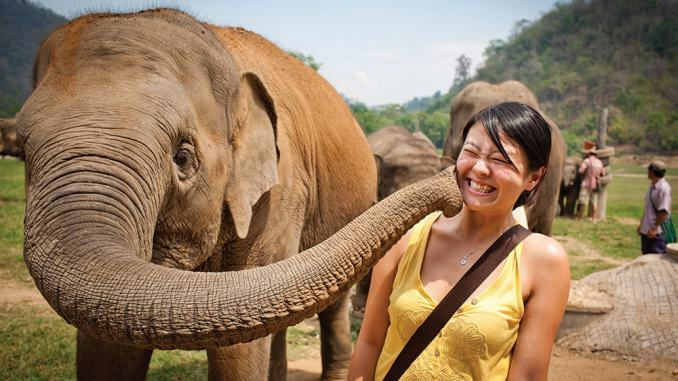 Unlike zoos that hold the animals in captivity, the Elephant Nature Park has free roaming elephants that bathe, play and interact with visitors. They do not perform tricks and you cannot ride them; they are simply there to interact and have fun with you and your kids. The Park is only in nearby Chiang Mai, so you do not have to spend much to get there. At the Park, you’ll get to feed the elephants, bathe them, and walk with them, and you can even stay a night or two to immerse yourself in the experience. There are plenty of options to choose from, including a Short Park Visit, Elephant Twilight or Karen Elephant Experience. 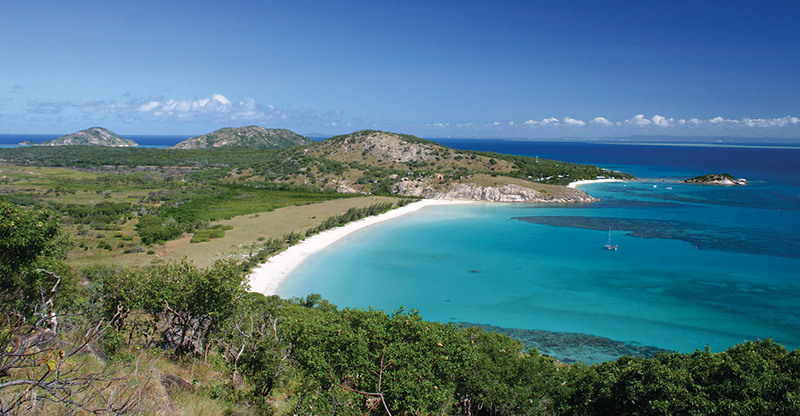 Home to some of the most beautiful and pristine beaches of the world, Lizard Island is a visual treat for the eyes. As it is relatively isolated, the beaches and marine life are left untouched, and are part of the Great Barrier Reef. One of nature’s greatest wonders, it is a great choice if you want to escape the fast-paced concrete jungle in Singapore. The sweeping white sands and crystal clear blue waters are just one part of it – there are so many things you can do with your children at Lizard Island. Snorkel with a variety of marine life just off the beach, and you might just chance upon a turtle or a giant clam at Watson’s Bay. If your children are not familiar with snorkelling, there are complimentary lessons followed by a guided reef tour at Anchor Bay, and equipment is provided as well. If snorkelling is not what you are looking out for, treat you and your kids to the experience of a lifetime: the Glass Bottom Sea Kayak. If you want to get truly up close and personal with the colourful marine life, this might be worth a splurge. Japan can be one of the most culturally rich places you can take your kids to. However, for a one-of-a-kind experience, try catching bathing monkeys in the snow. 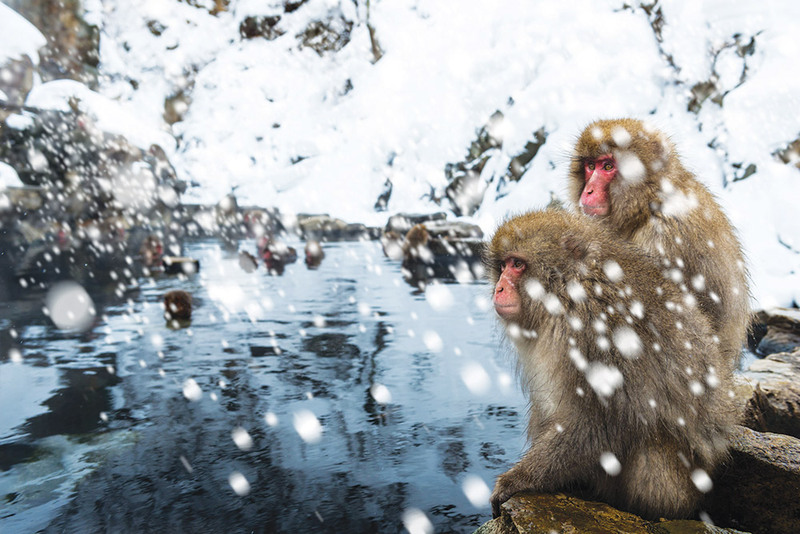 Jigokudani, the famous Snow Monkey Park, is located at the bottom of Shiga Highlands. In the winter, the Japanese macaques soak themselves in the hot springs to warm themselves up, creating a spectacle for visitors to see. At the Park, there are other wildlife roaming, such as squirrels, the Japanese serow and other wild birds. If your kids have never seen snow before, this may be a good option. However, winter in Japan typically starts in December, so you can start planning now! There are many other things to do in the area. In the nearby Nagano City, there are many craft workshops to choose from. Your kids can make their very own personalised kaleidoscope at Byakurenbo or engage in silk handkerchief dyeing at Hanagura. During the months of August to October, you can go fruit picking in Nagano as the native apples, peaches and grapes are at their peak sweetness. Who says the Philippines is just about Cebu and Boracay? Bohol boasts the best of all worlds, with scenic postcard-worthy hills, picturesque beaches and interesting wildlife. 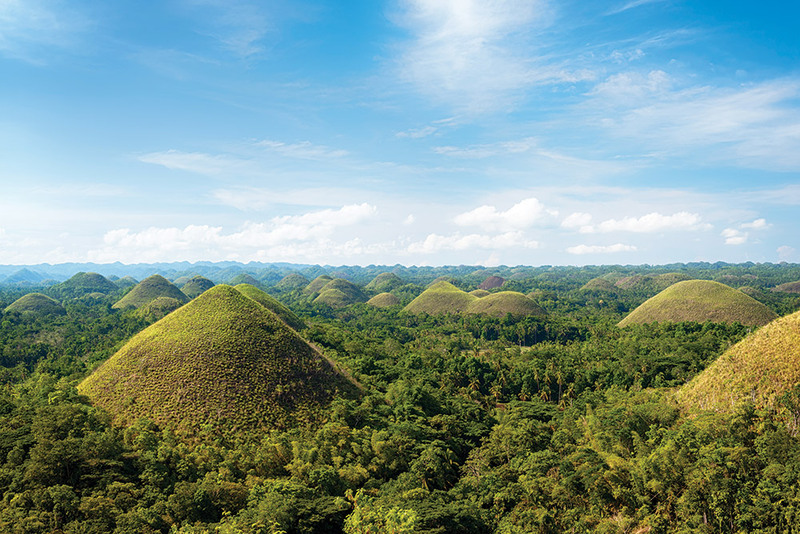 Arguably the most famous natural landmark in Bohol, the Chocolate Hills are 1776 dome-shaped mountains covered in green grass which turns brown in the dryer seasons, giving it its name. The odd-looking mountains are a sight to behold, and are not to be missed. The white sandy beaches of Panglao also feature crystal clear waters, and have vibrant marine life in them. You can also bring your children to the Tarsier Sanctuary at Corella, to observe these cute animals in their natural habitat. The tarsier is an endangered species, and are known to be very shy and sensitive. They have been known to commit suicide by banging their heads against objects when stressed out, so be sure not to take any flash photos or make too much noise.